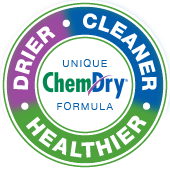 Thank you for your interest in Elite Green Team Chem-Dry! Simply fill out this form with the details of your cleaning needs, when you would like us to stop by, and which services you are interested in. We are also happy to discuss your needs over the phone. Give us a call at (346) 217-9105. Once you submit this form we will contact you within one business day to confirm the details of your appointment. If you do not hear from us within that time frame, please give us a call. We cannot always guarantee service availability on the date you select but will contact you soon to confirm an available date and time for your cleaning.